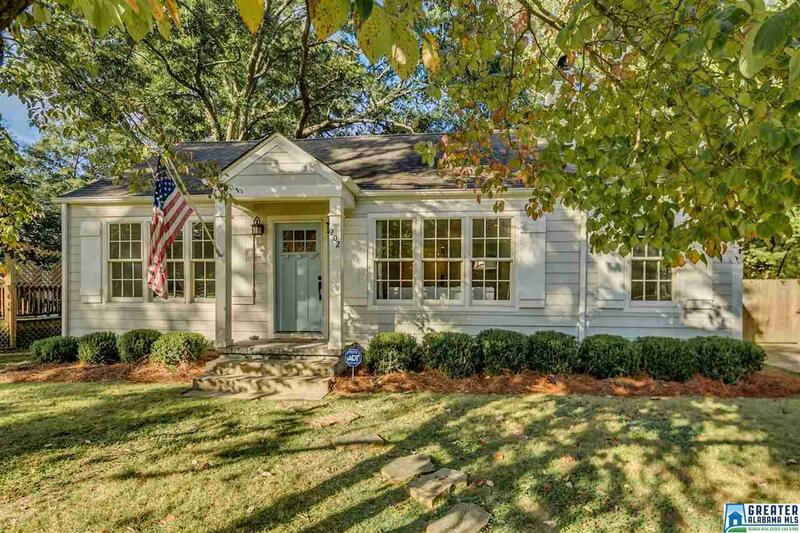 202 Hagood St, Mountain Brook, AL.| MLS# 832419 | Richard Jacks UABLIVING.com 205-910-2297 | Birmingham AL Real Estate | Contact us to request more information about our Homes for Sale in the Birmingham AL area. This cute, renovated Crestline cottage features 4 bedrooms; 3 nice baths each with a bathtub - the Master Bath has a separate shower and double sinks; living room with fireplace; dining room; kitchen with stainless steel appliances; study/sunroom off the living room; little den (could be opened to the kitchen eventually for a nice kitchen/den); nice landscaping in the front with a concrete driveway with parking pad for great off-street parking plus a big, perfectly-flat, fenced backyard. Other renovations (specific date unknown) include Pella Windows, new siding, sump pump and french drains, Master addition w/ walk-in closet. NEW since Spring of 2016: tankless hot water heater, AC, stainless fridge, LG washer/dryer, finished fencing the yard, interior paint, light fixtures, pocket door joining bath to bedrooms 2 and 3, carpet, back door, bedlines in the backyard, and more. If you are looking for close in, Mtn Brook schools, flat, spacious, cute, easy, 1 level living, then this it! Driving Directions: From Crestline Village Take Euclid Ave, Left On Hagood St., House On The Left.